Longstone Community Council was one of the first community councils established in Edinburgh (in 1980). Its area covers most of the parish of Slateford/Longstone, bounded by the Water of Leith to the south and east and by the Murray Burn to the north. It includes Hailes Quarry Park but not Kingsknowe Golf Course. 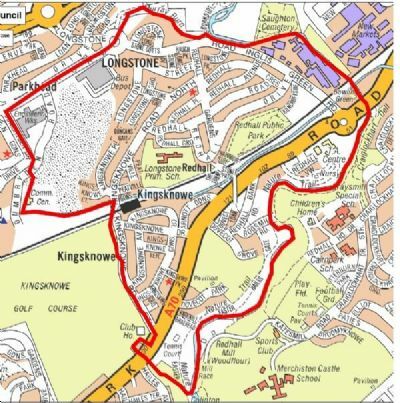 Apart from Longstone, it includes Redhall, Slateford, Kingsknowe and the Dovecots south-east of Lanark Road, including Dovecot Park. It also includes Redhall Park (see map below). All the parks in its area are the sites of former quarries, filled with City refuse. The area is bisected by the main Edinburgh-Carlisle railway, with a halt and a level crossing in Kingsknowe. It is also bisected by the Union Canal. The Community Council meets on the second Monday of the month, except for January, April and July, usually at 7:30 pm in Longstone Primary School in Redhall Grove (doors open at 7:15 pm). The Community Council is funded by grant from the City of Edinburgh Council. For a history of the parish and a map, go to the link 'History'. The Community Council takes graffiti seriously and attempts to get it removed as quickly as possible. If you see graffiti that you think has been overlooked, please contact the Secretary or use the FEEDBACK page. The Secretary via the FEEDBACK page here. You can also email the Secretary at secretary@longstonecc.org.uk. Website: If you have an enquiry about the website, want to comment on it or alert us to some news, please use the FEEDBACK page. The Slateford/Longstone War Memorial in Redhall Park, which is 'Supplementary to the Colinton Memorial' (photo by Steuart Campbell). 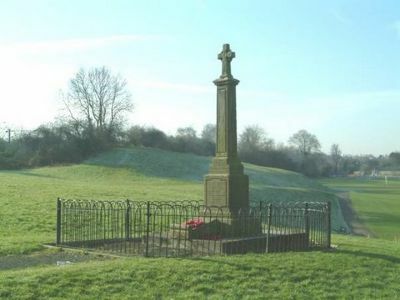 For more details of the war memorial, go to LINKS. For a list of those commemorated on the memorial, go to 'List of the fallen'. The red line outlines the LCC area (most of the parish) and the railway line separates Sighthill/Gorgie ward to the north from Pentland Hills ward to the south.